Evangelicals and Mormons for Jesus Support Articles | Are Mormons Christian and Is the Moromon Church Christian at its Foundation? Our purpose is to help make people aware that the foundation of the Church of Jesus Christ of Latter-day Saints of Salt Lake City (LDS), is the real Lord Jesus Christ, the unique Son of the only living God. These Mormons are not members of an unchristian cult. Rather, they are members of a Christian organization—even though about thirty percent of their teachings comprise a chain of burdensome false beliefs and practices. In other words, anyone who believes what the LDS teaches about the Savior is a born-again Christian and will go to heaven. Many of their achievements will be consumed by flames on judgment day, but they themselves will escape the fire (1 Corinthians 3:11-15). How can you claim the Mormon Church is Christian? The LDS’s purpose coincides with Jesus’ stated purpose for sending out Paul the Apostle. That is, “to open [people's] eyes and turn them from darkness to light, and from the power of Satan to God, so that they may receive forgiveness of sins and a place among those who are sanctified by faith in me” (Acts 26:18). All their falsehoods concern nonessential matters (See Romans 14:1). Mormons are generally recognized and known for their positive moral behavior. Jesus said, “A good tree cannot bear bad fruit, and a bad tree cannot bear good fruit” (Matthew 7:18). Why do critics claim the Mormon Church is not Christian? Nonessential biblical doctrines are thought to be essential. LDS teaching is often misunderstood. Statements by LDS leaders are often taken out of context. Knowledge of LDS teaching is often obtained primarily from secondhand sources including ex-Mormons. Current Mormon officials are seldom given a fair chance to defend themselves (See Proverbs 18:17). Many critics are not guided by the Holy Spirit in discerning the LDS. Instead they use their unrenewed minds and their old natures. The old nature is negative, cynical, and judges prematurely. The new nature in Christ judges objectively (Proverbs 24:23), sees the best in others (1 Corinthians 13:7 AMP), recognizes the power of the blood of Jesus to cover unintentional sin (Romans 4:7), and is anchored in the wisdom of God. Because the old nature does not trust the guidance of the Holy Spirit it is overly afraid of being deceived. For this reason many critics keep their distance from Latter-day Saints. This handicaps their ability to see good fruit in Mormon lives. How can I know who is right? Rely on the discernment of God which comes through prayer, reading the Bible, listening to God's voice, and walking in God’s ways by faith in his Son, Jesus Christ. “Trust in the LORD with all your heart and lean not on your own understanding” (Proverbs 3:5). How can I help bridge the division? If you're a Mormon: Realize that the church of Christ and Christ's authority extends beyond the boundaries of the LDS. (I know this is asking a lot, but all things are possible with God!) And realize that non-Mormon followers of Christ also enjoy the constant companionship of the Holy Spirit. If you're not a Mormon: Realize and declare that the Mormon Church is at core a Christian organization. Many goodies! God will release you from the curse that comes to those who judge falsely—“In the same way you judge others, you will be judged” (Matthew 7:2). Peacemaking across the division between the LDS and other Christian streams is challenging, stimulating, and will stir up all sorts of gifts God has given you. “Blessed are the peacemakers” (Matthew 5:9). 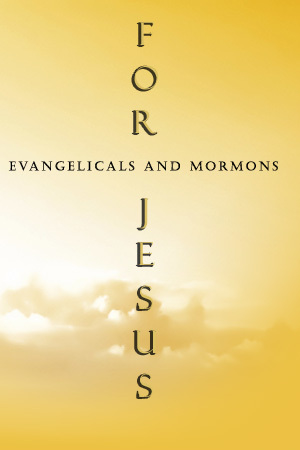 Why is this site called “Evangelicals and Mormons for Jesus”? The name implies that evangelicals and Mormons serve the same Jesus. It also reflects our vision of Mormons and evangelicals worshiping and working together for the advancement of God’s glorious eternal kingdom. Unity among Christians attracts the lost (John 17:20-23)! Such unity truly will be REFORMATION! We are NOT saying all Mormons are Christians—far from it! We are NOT saying LDS false doctrines are harmless. We encourage non-Mormons to help Mormons grow in the Lord with love, patience, humility, and primarily by example. Click here for biblical evidence for the Christian foundation of the Church of Jesus Christ of Latter-day Saints. 1 “We Testify of Jesus Christ,” March 2008 Ensign, 4. Copyright © 2011 Cal Fullerton. Permission is granted, and you are encouraged, to print the above article in hard copy form, as well as send it to your own email lists and post it on your own websites. We only ask that you include the name of the originating website (EvangelicalsandMormonsforJesus.com) and this copyright and permission notice. All Scripture quotations above, unless otherwise noted, are taken from the HOLY BIBLE, NEW INTERNATIONAL VERSION. Copyright 1973, 1978, 1984 International Bible Society. Used by permission of Zondervan Bible Publishers.